Lund and Laastad Architects, founded by architects Børje Sund Laastad and Svein Erik Lund, are behind Landås new school in Bergen, Norway. Lund and Laastad defines the architecture like an intersection between science and art, based on pragmatism and artistic creativity. They are know for creating exciting, but rational solutions. 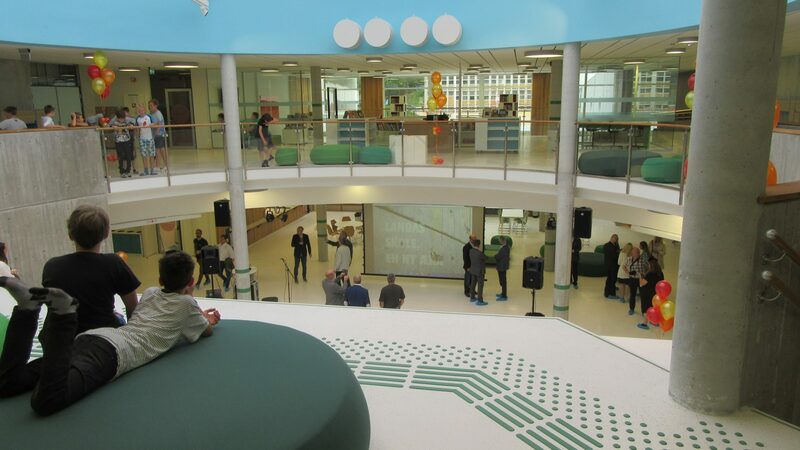 It is obvious that Landås School is designed and built from a deep understanding of the surroundings and the functional needs and it is an interesting and challenging space that meet the high demands on a modern educational institution in Northern Europe. The main entrance and corridors with it its big windows, the glass doors in the other extreme and the big atrium provide the building with lots of natural light. 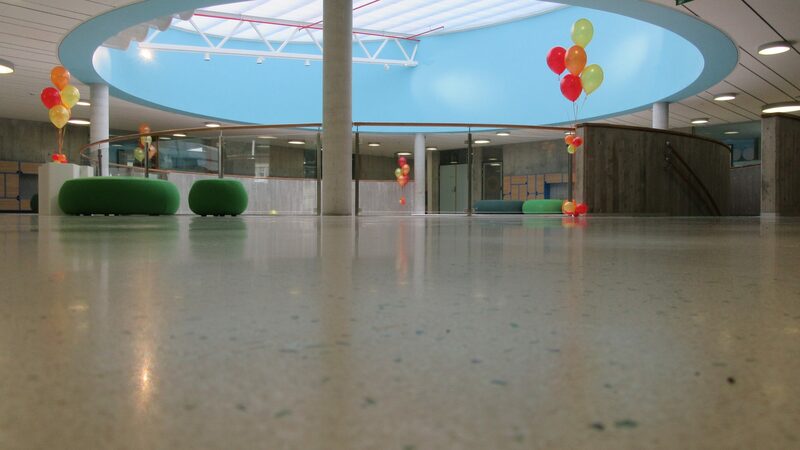 The use of glass, natural concrete and the white continous floors and sealings, give the school a functional, bright and open appearance. 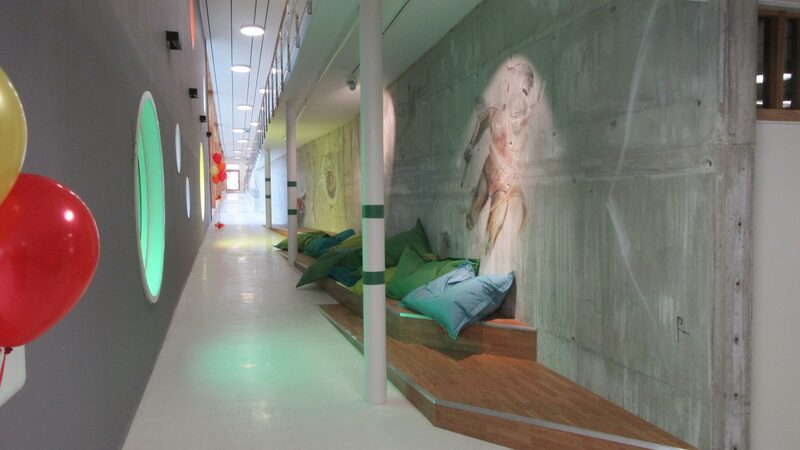 The use of natural wood provide warmth to the envirement and graffiti artwork has been used as a decorative element on the raw concrete walls. 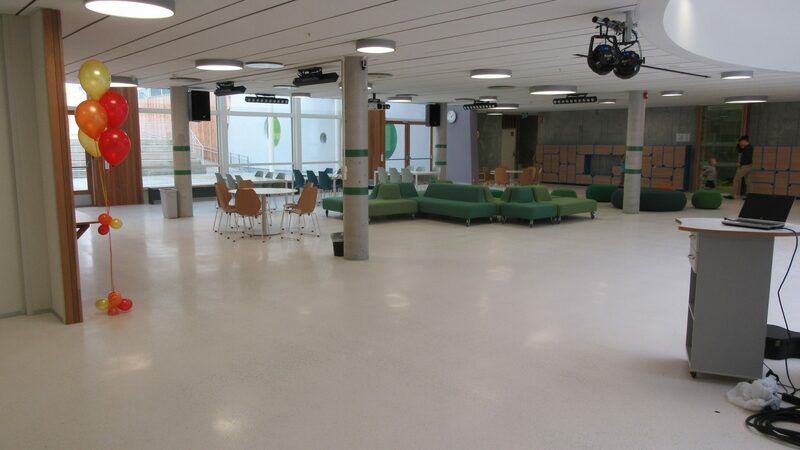 Lund and Laastad have really played with the possibilities White Concrete Floors give. 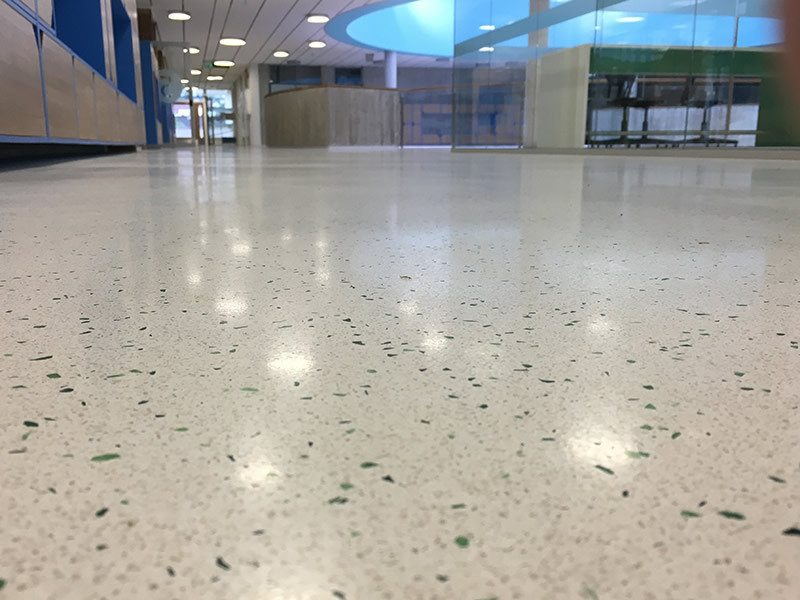 For the floor in the common areas and hallways they have used a custom designed white terrazzo mix with pure white quarts and green recycled glass. 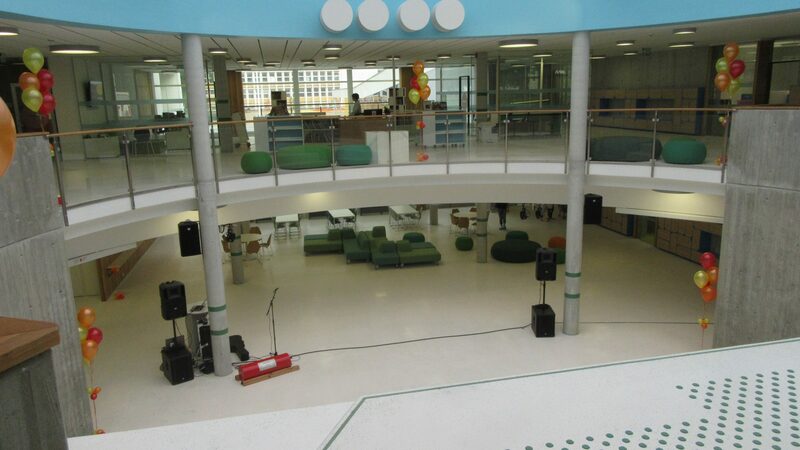 The joint free floors have been used to create open indoor spaces. 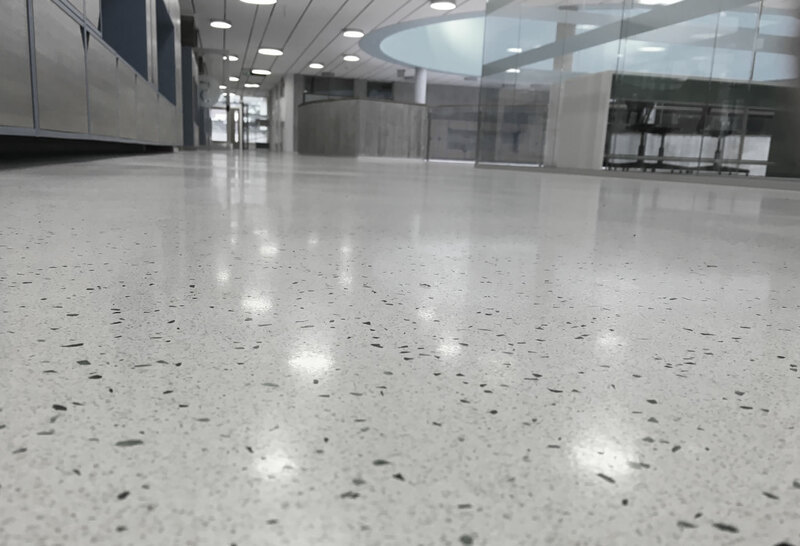 It makes the floor appears uniform in perspective, but contrast to the random spread of aggregates that makes the floor alive and expressive as you walk around in the building. One one of the pictures you will see architect Børje Laarstad spreading glass aggregates. 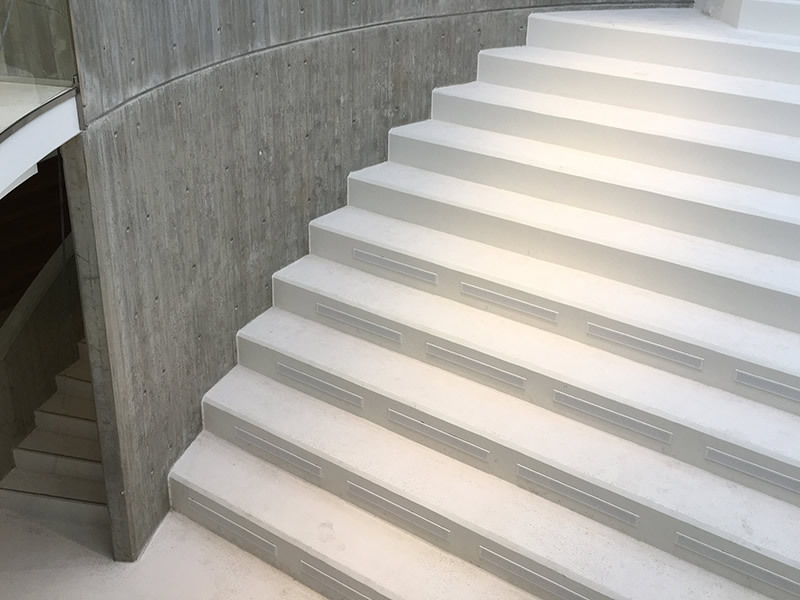 He has used the additonal spread of aggregates to mark and create effect in the atrium and to mark where essential installations are hidden under the floor in a very discrete way. 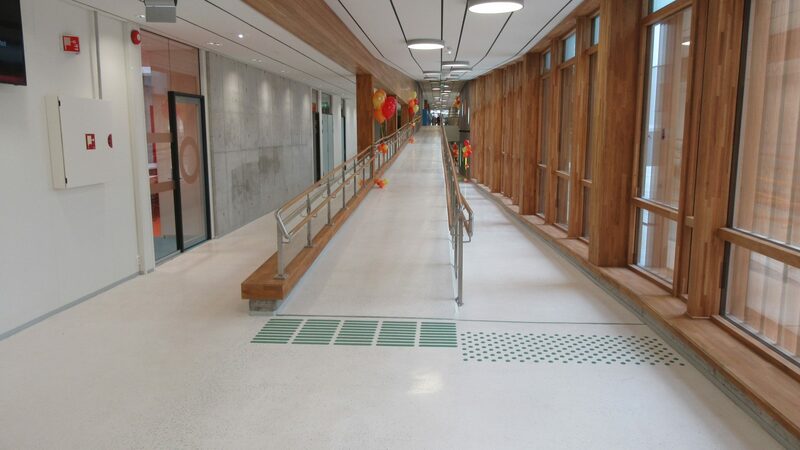 Lines of green cement have been inserted to mark the steps on the stairs as well as we have used the flooring material to create slopes to reduce speed and risk on wheelchair ramps. 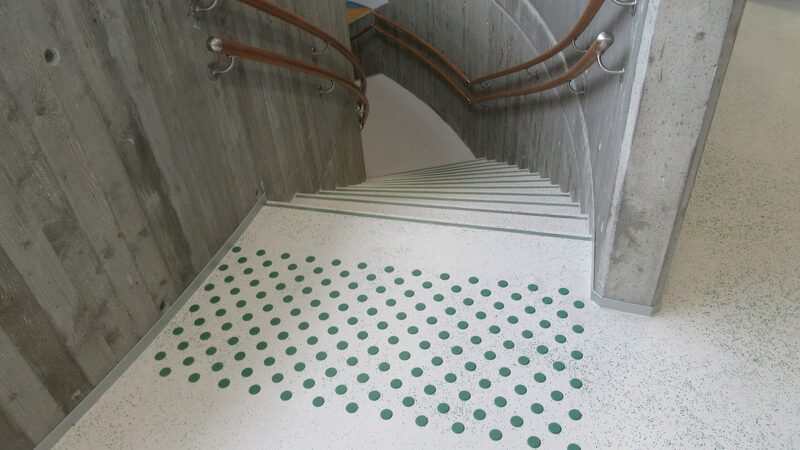 Landås Skole and the work realized by Gulvtec is a very nice example on how versatile our flooring products are and how well they can be fitted to meet architects needs. 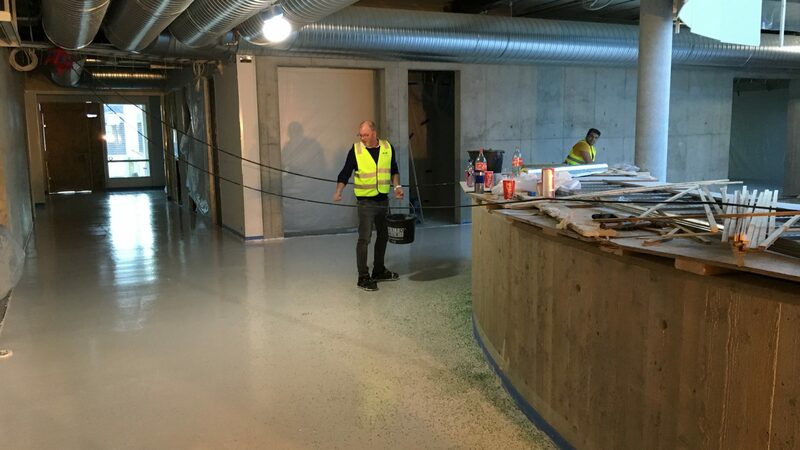 Architect Børje Sundt Laastad adding his own touch to the custom terrazzo floor with a spread of green recycled glass aggregates.